This is, and is not, a happy story. It definitely doesn’t start out as one. Doug’s family (abusive, dysfunctional, falling apart) moves to a new town where he is immediately marked as an outsider. His reputation is colored by the actions of others. And his gym teacher is out to get him. But then Doug finds that shining beacon of hope: the library (I am a little biased). And one page of a certain book will change the course of his year. Read if you like funny protagonists, nature paintings, horseshoes, or the New York Yankees (circa 1967). Avoid if you don’t like books with abuse, sad books, lemon ice cream, or the New York Yankees (circa 1967). Hazel Grace Lancaster is 16, already in college and doesn’t have many friends. She is also in terminal stages of cancer…kind of. After being semi-forced to attend a cancer support group regularly, she meets fellow “cancer kid” Augustus Waters. Augustus Waters smokes unlit cigarettes because “you put the killing thing right between your teeth, but you don’t give it the power to do its killing” (Green, 20). He is also in remission…minus a leg. 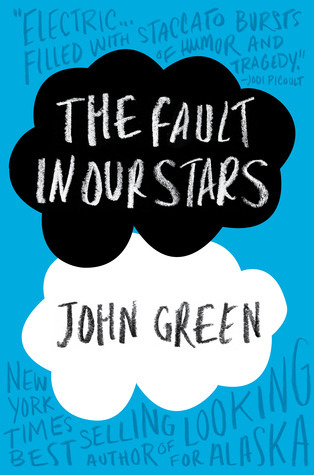 When Hazel gives Augustus Waters her favorite book “An Imperial Affliction” by Peter Van Houten, the two begin a journey to find the elusive and mysterious Van Houten in an attempt to get their questions answered about the cancer-afflicted main character. They go to Amsterdam in search of Van Houten, sell a swing set to a family that needs to make memories, play video games, comfort their recently blinded but cancer-free friend (who is far more upset about getting dumped by his non-cancer kid girlfriend), taste the stars (or champagne, they really aren’t sure), and definitely fall in love. What isn’t so definite is how long they will have together. 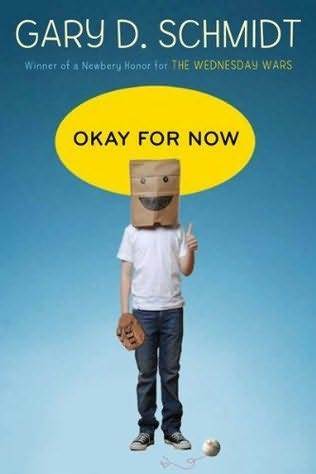 This entry was posted in Humor, Reader Advisory, Reading and tagged Books, Gary D. Schmidt, John Green, Okay for Now, Reading, The Fault in Our Stars, YA Fiction on September 14, 2012 by Jenny Nicolelli.